From a candidate list of 10 British cars chosen by a team of experts and celebrities, readers of Classic & Sportscar magazine were canvassed over a period of recent months to vote for "The best British car of all time"
Here's how I read this result... So the highest placed pre-war car is the Austin 7 - THE car which mobilised the UK from 1922 and right on into the 1960s - beating many much younger cars in the vote. 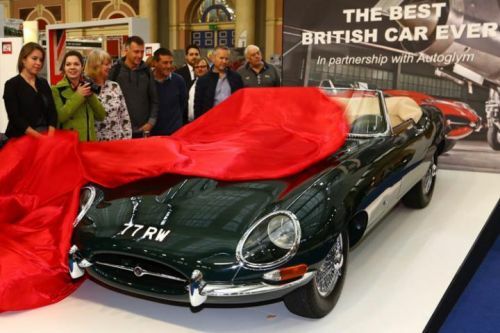 The Jaguar E-type was a genuinely inexpensive car compared with an Aston Martin, so again many people experienced the E type. The McLaren F1 is a dream car so got the dream vote. The Range Rover started the 4WD fashion, and so includes many of today's Japanese 4WD enthusiasts as well as the Range Rover enthusiasts. The Speed 6 Bentley won Le Mans in 1929 and 1930 and so is the pre-war race car in this group. The Lotus 7 from 1957 to 1972 is still going but now in Caterham form and gets the road-racer vote. The Ford GT40 also won Le Mans 4 years running, in 1966, 1967, 1968, and 1969 and we just remember that. The Jaguar XKSS is a bit of an oddball and not surprising penultimate to bottom choice, being a road-registered converted D-type Jaguar, made only to clear stocks of unsold D-types - there should be such a situation today! Lastly, the Rolls-Royce Silver Ghost... well, it was so exclusive at the time to be completely unaffordable except by the Granthams of Downton Abbey - but even Julian Fellowes, The Lord Fellowes of West Stafford, did not manage to secure one for the TV series.